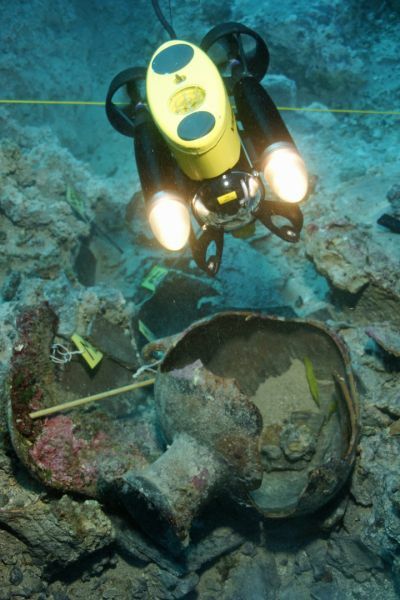 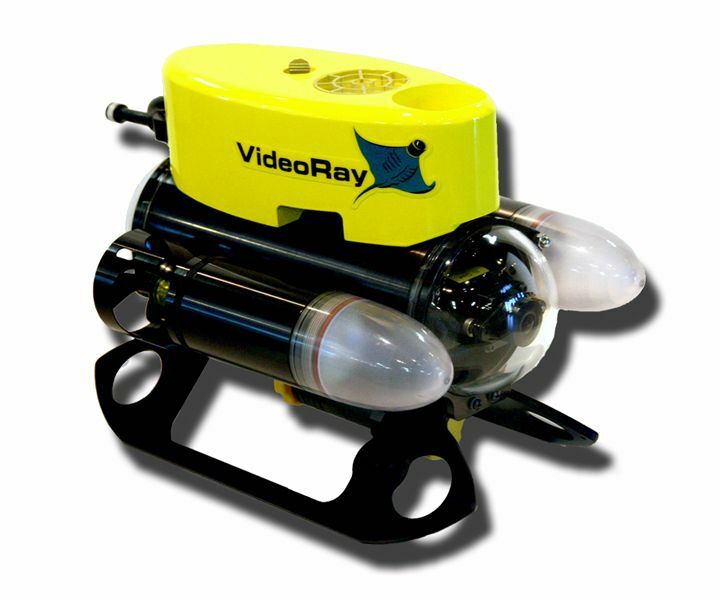 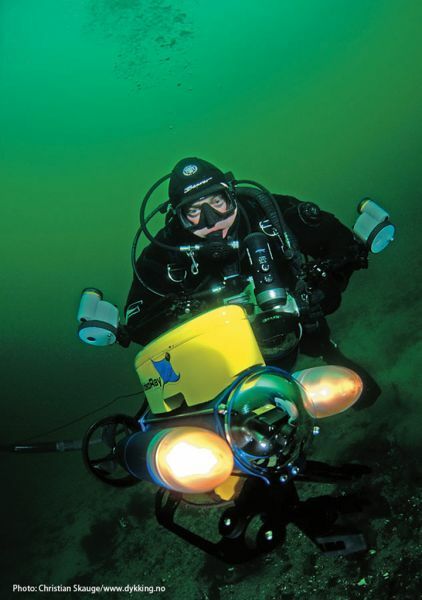 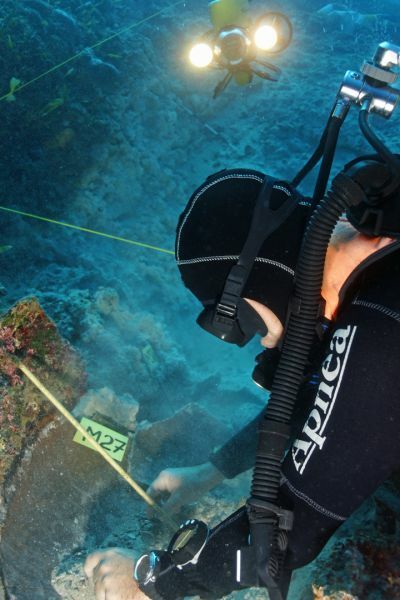 The VideoRay Pro 3 ROV system (Discontinued as of June 2013) is the technology that propelled VideoRay into the position of Global Leader in Micro-ROV Technology. 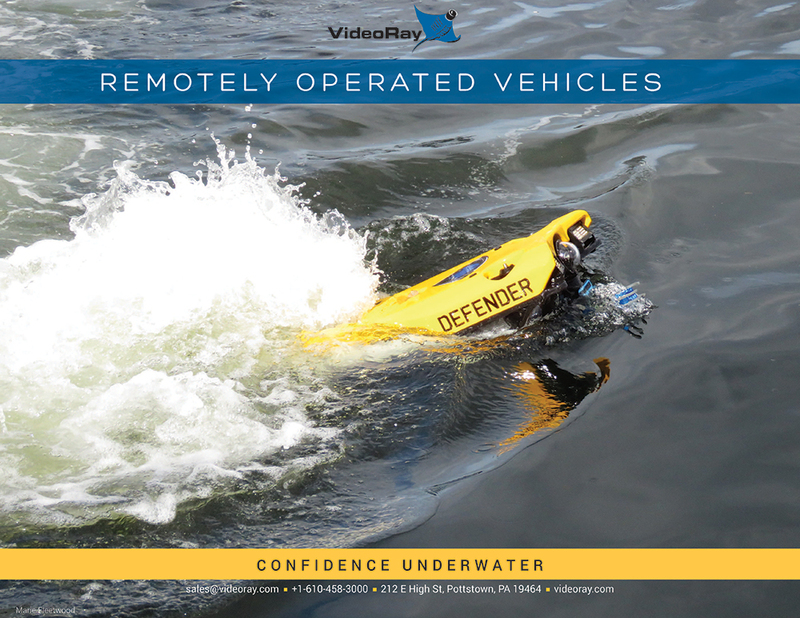 With its open platform, rugged construction, and ability to integrate with numerous sensors, tools, and sonars, the Pro 3 quickly became the work horse of VideoRay's ROV product line while laying the framework for the latest innovation - the VideoRay Pro 4. 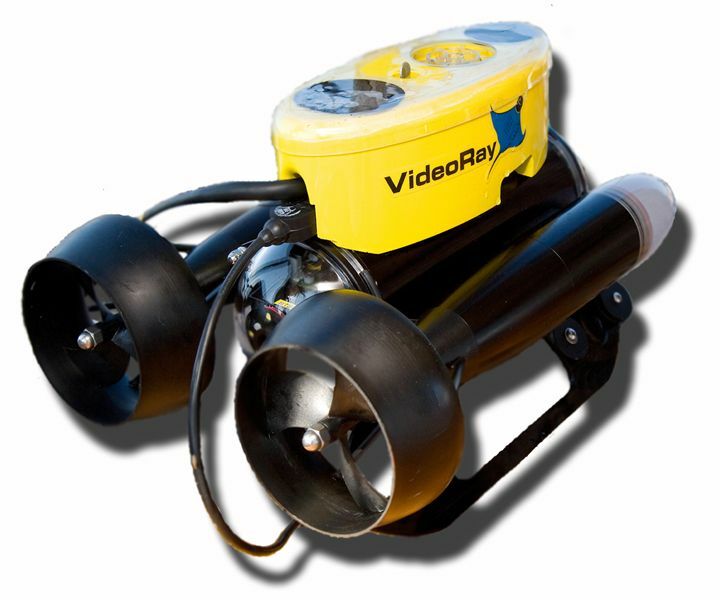 The VideoRay Pro 3 GTO became the workhorse of our ROV product line in 2005 due to its power to weight ratio and rugged construction. 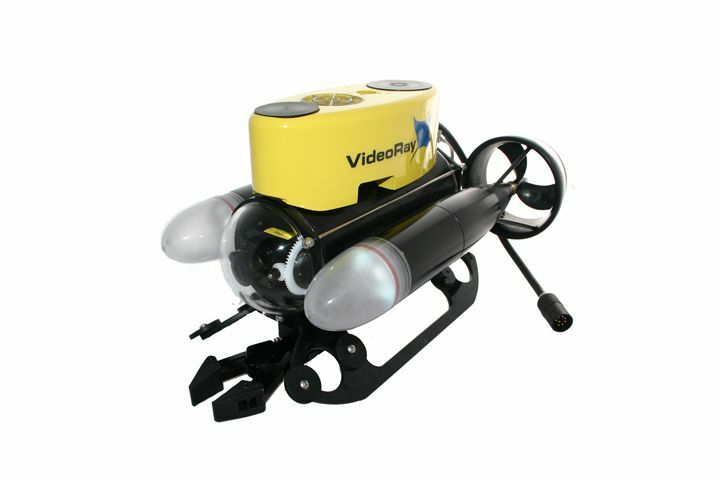 VideoRay Pro 3 GTO used to inspect the anchoring system on an FPSO in the South China Sea. 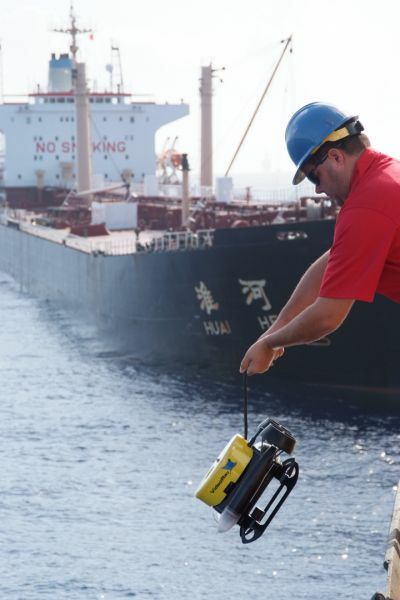 VideoRay Pro 3 GTO deployed in the South China Sea for inspection work for an oil & gas operation. 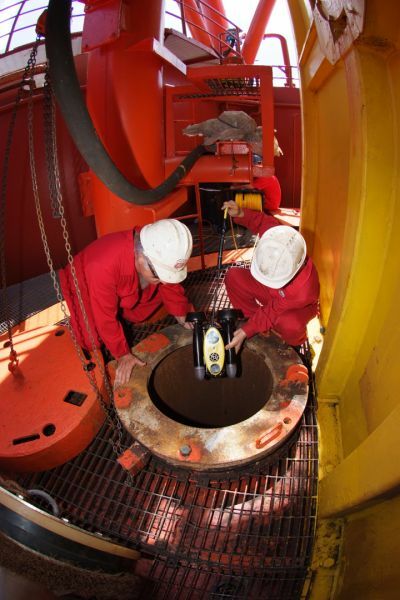 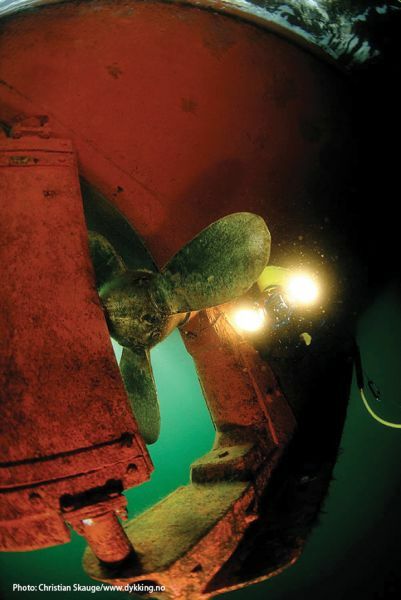 VideoRay Pro 3 GTO conducting a shiphull and prop inspection. 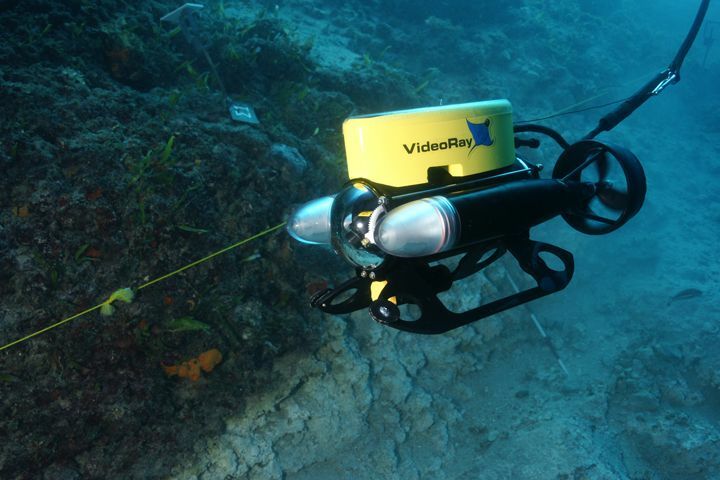 The VideoRay Pro 3 GTO with a manipulator arm attached - the 9-Pin accessory port on Pro 3 ROVs can accept a variety of tools, sensors, and sonars. 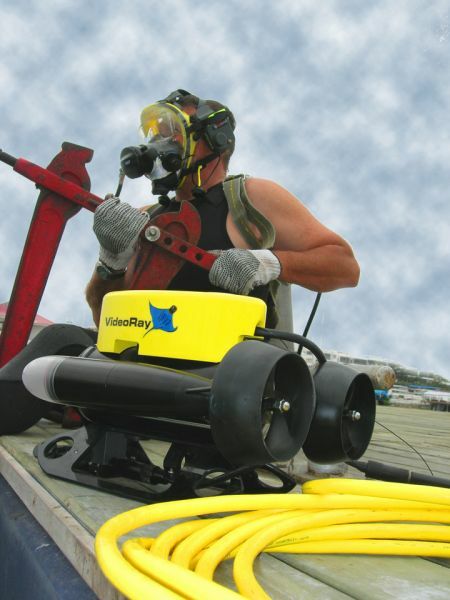 The GTO (Greater Thrust Option) took the normal Pro 3 speed from 2.6 to over 4 knots surface speed and the ability to pull more tether and have more stability in water currents. 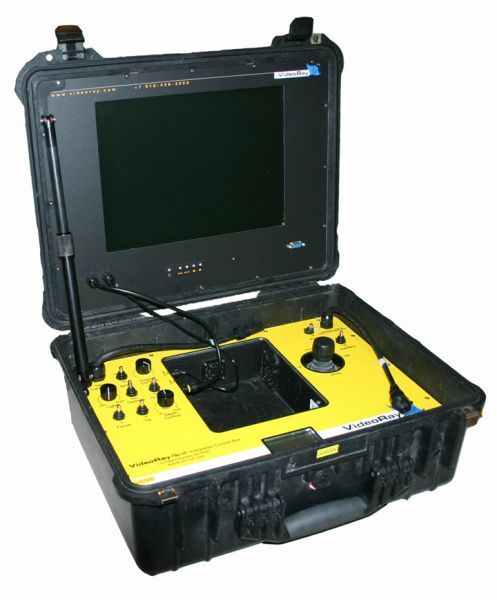 The Pro 3 XE, GTO, and GTO LX Integrated Control Panel with a 15 inch color monitor built into the lid. 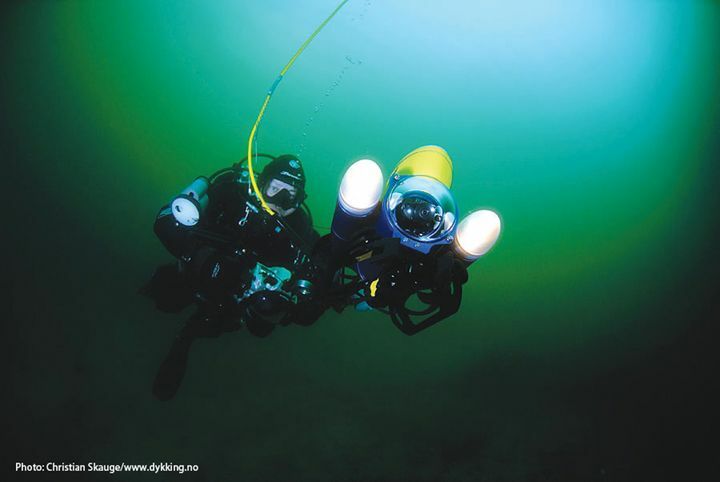 The Pro 3 E, S, and XE submersible has a depth rating of 152 m (500 ft) and can fly between 2 and 3 knots. 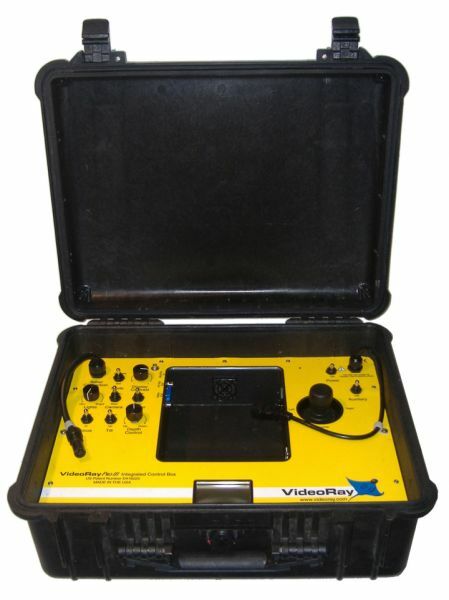 The Pro 3 E and S Control Panel - this Pro 3 configuration requires a user supplied monitor that can easily be attached through a composite video cable.